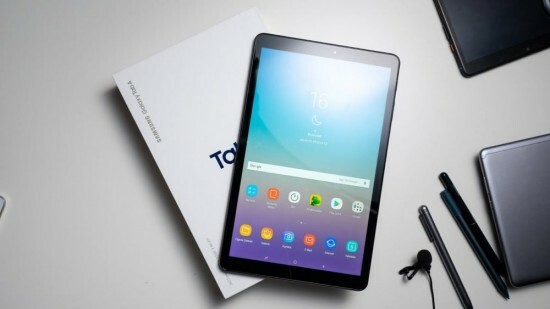 Samsung is the leading mobile phone manufacturing company, which has recently launched Samsung galaxy Tab A 10.1 and now the company has launched the new tablet, which seems the cheaper alternative of the Samsung tab A 10.1. Samsung Galaxy Tab A 8.0 with S-Pen. The new tablet, Samsung Galaxy Tab A 8.0 is released in cellular and Wi-Fi options and it is also compatible with S-pen. This tab has been released in Thailand ad it is going to be released in some other countries like UK, New Zealand, Singapore, Cambodia, Vietnam, Malaysia, Laos and Philippines. 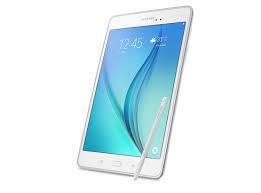 It is the typical Samsung tab, which is provided in black and white colors and this tab has the screen size of 8 inches and has TFT display like Samsung Galaxy Tab 10.1. 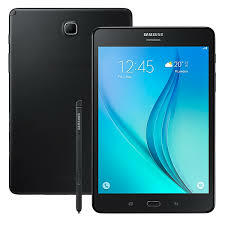 The display of the tab is supported with S-Pen and it is borrowed from Galaxy Note 8. The viewers will find the wide bezel on all sides and S-pen has the slot on right bottom. This tablet has the back camera of 5 MP, which is normal one and the users will also find one front facing camera of 8 MP sensor, which is provided there to take the selfies. The tablet is powered by Samsung Exynos 7904 chipset and this tablet is added with the built-in memory of 32 GB with 3 GB RAM and it supports 512 GB microSD card in its card slot to enhance the internal storage of data and videos. This tablet is powered by 4200 mAh battery and it can give 11 hours browsing time and it is cellular or Wi-Fi version.